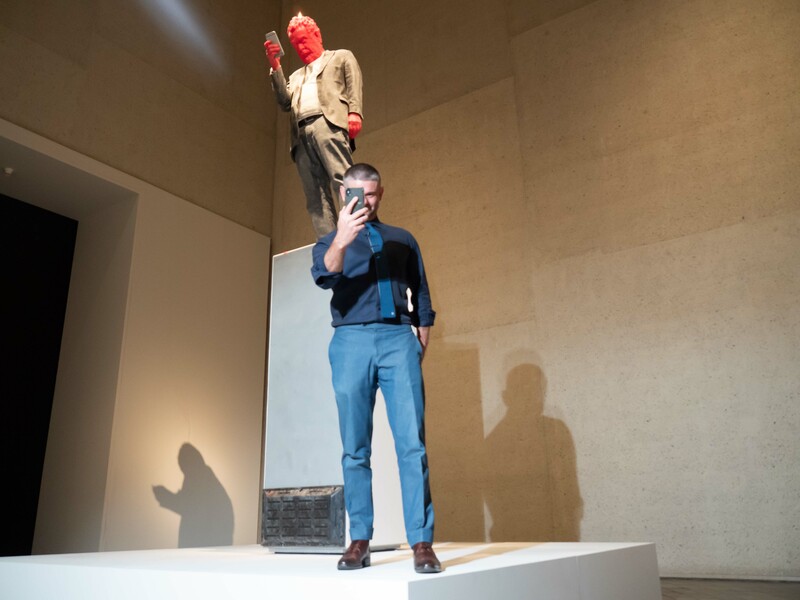 The National Gallery of Australia has unveiled its latest major acquisition, Francesco 2017, a wax sculpture by Swiss artist Urs Fischer, funded through their acquisition budget and philanthropic donations. In 2018, the gallery revealed Yayoi Kusama’s infinity room ‘The Spirits of the Pumpkins Descended into the Heavens 2015’ – an immersive installation that saturates your sense of sight as you peer into the endless reflections of black dotted yellow pumpkins. 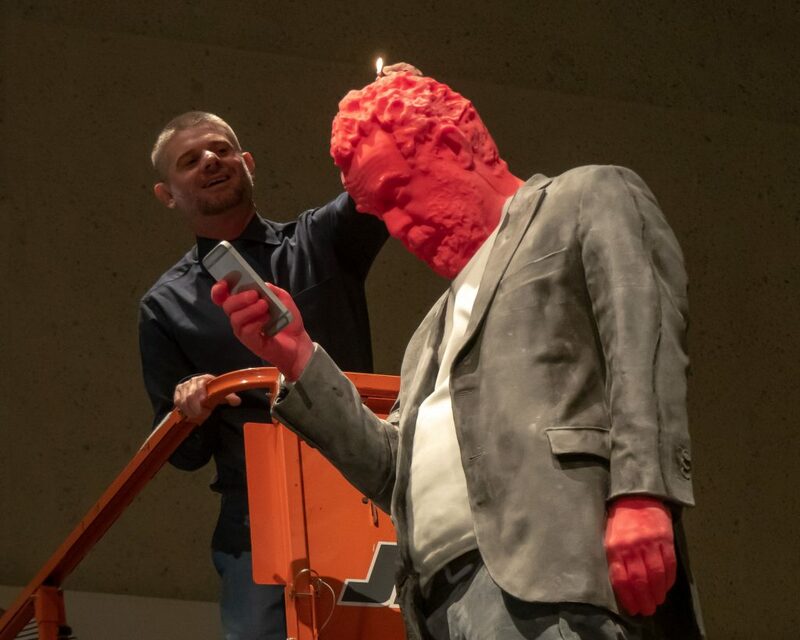 Today, Nick Mitzevich, gallery director, lit up our sense of touch (even though you can’t actually touch the artwork) as he set alight the 4 metre wax sculpture of the acclaimed Italian art curator, Francesco Bonami. The sculpture, created by Urs Fischer, will melt away for six months, at which point it will be recast to its original form and lit again. Mitzevich described this process as ‘the birth, the life and the death of an artwork’. 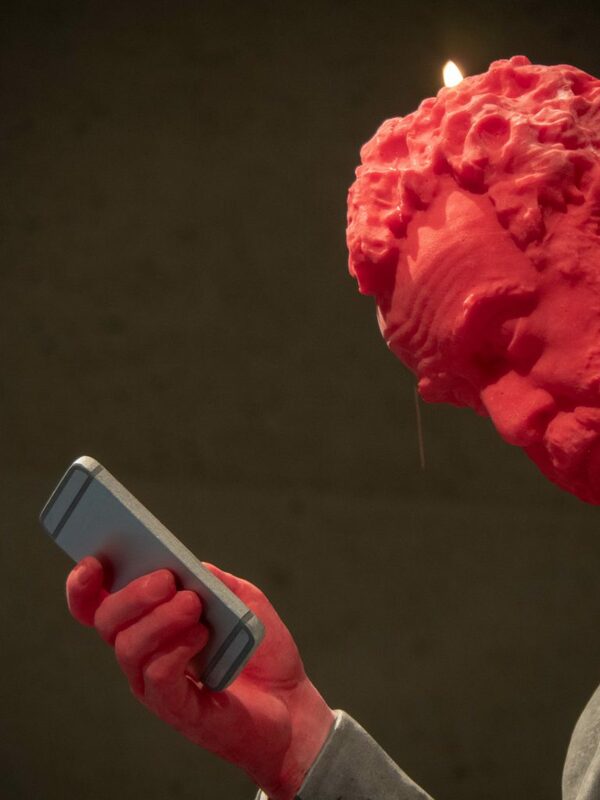 Mitzevich also states that through his works, Fischer ‘defines the moment we are in’ and goes on to describe the work as ‘Like life itself, this work emulates the things that play out around us, the birth of things, the life of things, the way things change and ultimately the death of things and their destruction’. 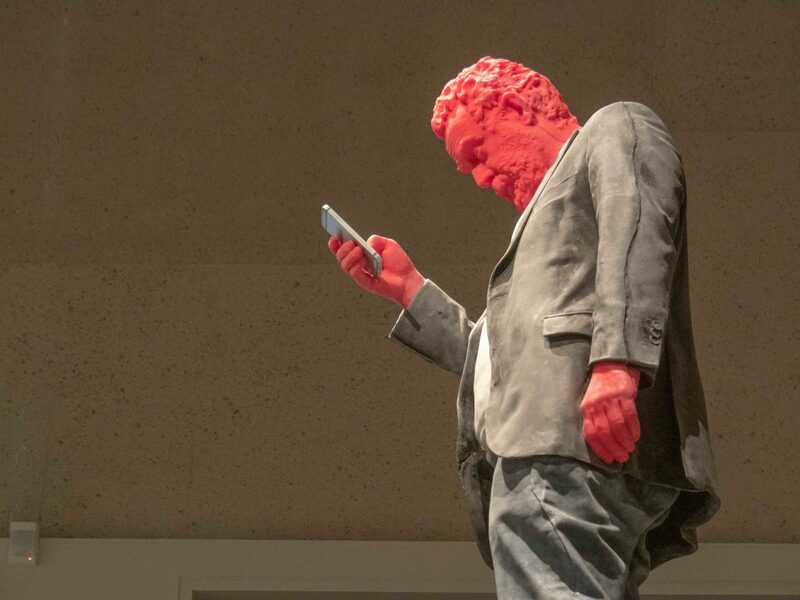 Interestingly, Fischer does not depict his friend and model Francesco looking at art or reviewing an art book; instead, he is portrayed captivated by and holding a mobile phone – ‘a device that is emblematic of the world we live in today’. ‘Modern life is continually changing and I think this sculpture is a great metaphor for the fact that if you don’t look carefully, things will change and pass you by. Life isn’t static and we are used to artworks that are relatively static and this work is certainly not static. It has a process and a life of itself and in some ways [it’s] just like the lives we all lead. 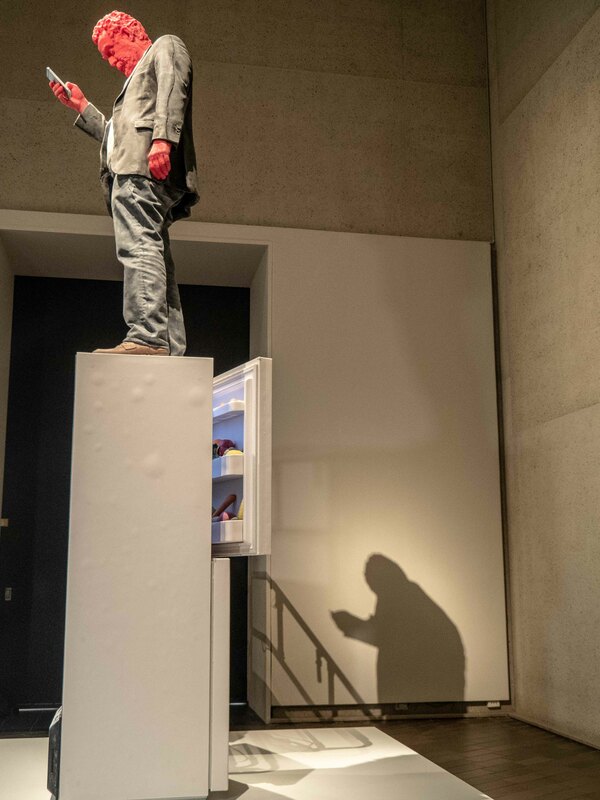 I think it’s a really beautiful, poignant, but at times macabre metaphor for the world we are in right now’ said Mitzevich when asked about the ways in which the artwork reflected the anxieties of modern life. 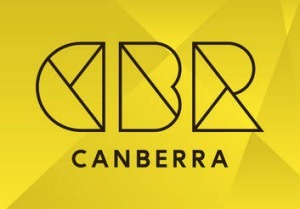 The artwork will be on display for all Australians and visitors to enjoy, and I can already see myself spending weekends staring at its transformation and ultimate demise. And even though the artwork will be recast, I know that like life, no two will burn and melt in the same way. The artwork is currently on display at the National Gallery of Australia and is a permanent addition to their national collection. Entry is free and photography is permitted.